The standard treatment for all newly diagnosed patients with active TB lasts at least 6 months and includes isoniazid, rifampicin, pyrazinamide, and ethambutol for 2 months followed by isoniazid and rifampicin for 4 months. Isoniazid interferes with vitamin B6 metabolism. The term vitamin B6 refers to a group of vitamins including pyridoxine, pyridoxal, and pyridoxamine. Isoniazid combines with pyridoxal or pyridoxal phosphate to form hydrazones, which are potent inhibitors of pyridoxal kinase. Thus, isoniazid blocks the formation of the coenzyme form of the vitamin. 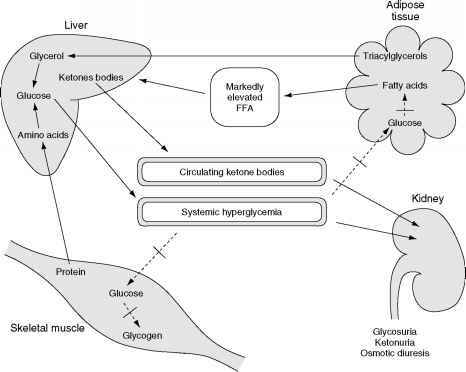 Normally, pyridoxal phosphate participates in metabolic transformations of several amino acids. In the absence of vitamin B6 supplements, approximately 2% of patients treated with 5 mg/kg will develop peripheral neuritis, increasing up to 20% at higher doses or in high-risk patients such as diabetics or alcoholics. Daily administration of 25 mg of vitamin B6 prevents peripheral neuritis and nearly all nervous system side effects of isonia-zid. A similar situation exists for the second-line anti-TB drug, D-cycloserine, which has useful antibiotic properties but inhibits a wide range of pyri-doxal phosphate-requiring enzymes. Cycloserine is used only for patients with drug-resistant TB, but in such patients doses of 200-300 mg of vitamin B6 have been recommended. Although vitamin B6 occurs in many foods, if intake is limited to types of food with low B6 content, deficiency can occur, especially in TB patients whose intake is compromised by anorexia and metabolism accelerated by chronic inflammation. Foods such as peas, beans, and cereals contain adequate amounts. Meat and eggs are not good sources, however, and high protein intake increases vitamin B6 requirements. Deficiencies of vitamin B6, like other nutrients, can increase because of significant intestinal malabsorption or loss by gastrointestinal dysfunction. Treatment of TB may induce other problems that affect nutritional status and nutrient intake. Three of the first-line drugs—isoniazid, rifampicin, and pyrazinamide—all carry a small risk of chemical hepatitis, ranging from the asymptomatic elevation of hepatic transaminases to severe and potentially fatal hepatitis. Although nutritional factors do not contribute to the cause, hepatitis has many important consequences affecting nutritional status and nutrient intake. Other anti-TB drugs that affect nutrition include para-aminosalicylic acid and ethio-namide, which commonly cause moderate to severe gastrointestinal disturbances such as abdominal pain, nausea, vomiting, and anorexia. We have all been there: turning to the refrigerator if feeling lonely or bored or indulging in seconds or thirds if strained. 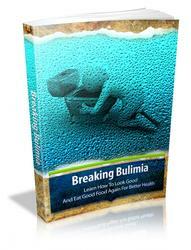 But if you suffer from bulimia, the from time to time urge to overeat is more like an obsession.